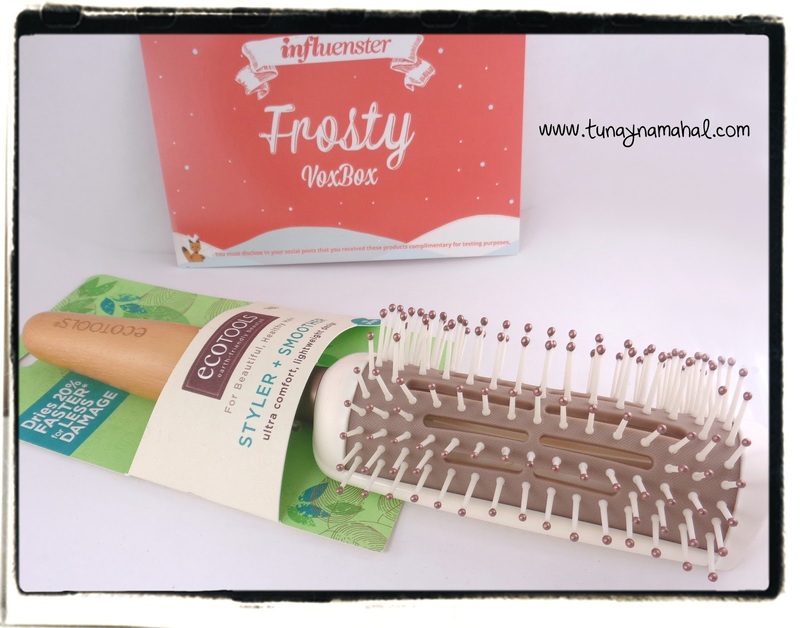 I recently received a Frosty Vox Box free from Influenster. :) This box was full of great products! I wanted to share my thoughts on them with you. McCormick Gourmet Thyme: I don't think I've ever purchased Thyme. It smells really nice. I do use Rosemary on chicken, and I think Thyme would also go really nicely with roast chicken. 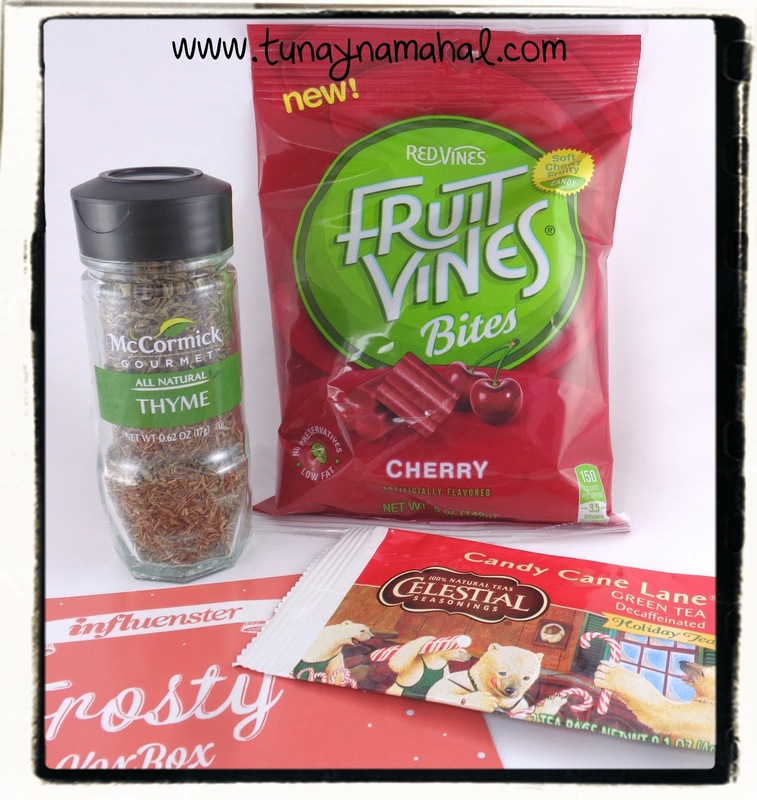 Red Vines, Fruit Vines Cherry: These only lasted a few days, haha! They were that good! Very sweet tart cherry flavor. They reminded me of gummy candy actually. My Thyme is now hanging out with all my other McCormick spices! The Grill Mates I use all the time! Montreal Steak, and Montreal Chicken. (I use the Montreal chicken, on chicken, pork, and fish). I also love their Rotisserie Chicken Seasoning, I bought a bulk container of it recently. 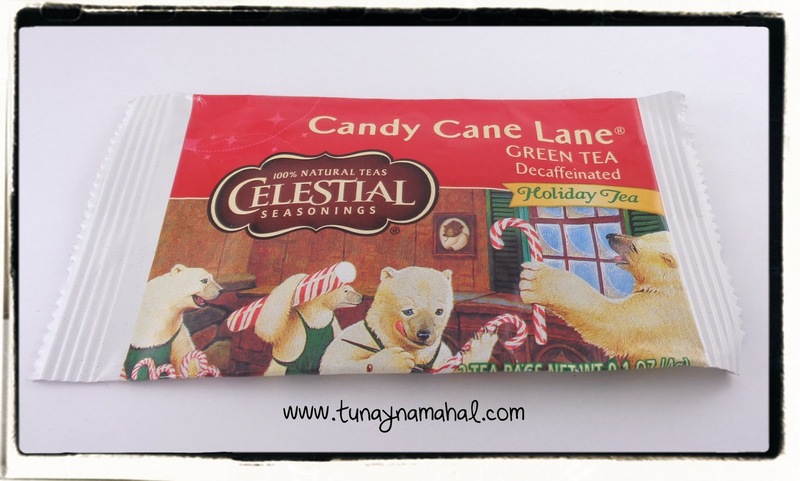 Celestial Seasonings: Candy Cane Lane: I'm not too fond of green tea, but this surprised me. 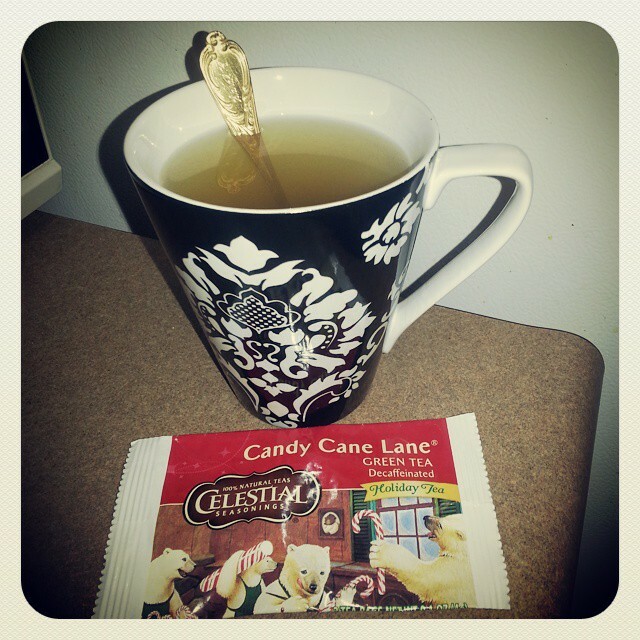 With the peppermint you can't really taste the green tea, and I like that it's decaffeinated, since I usually like a hot mug of tea at night. There were two tea bags in my sample pack, which was nice. I'd definitely buy this! 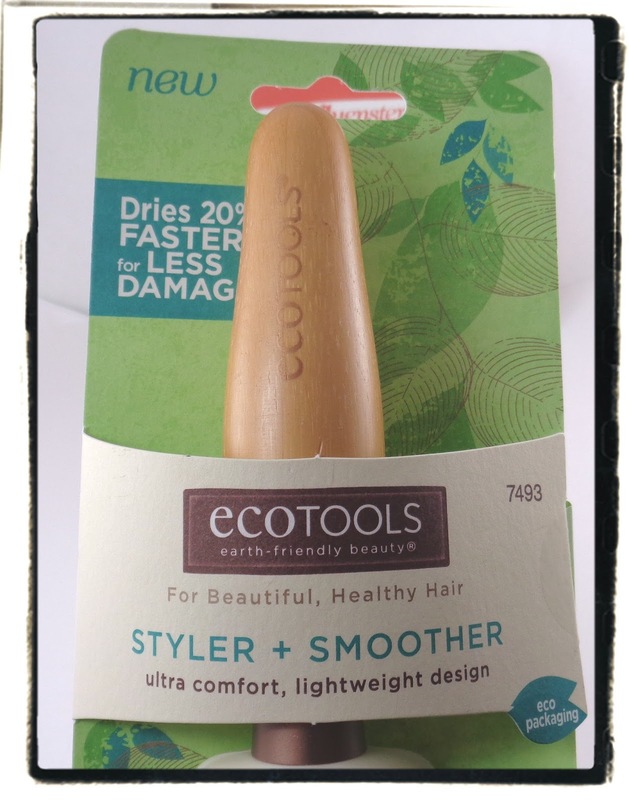 Ecotools Styler + Smoother Hair Brush: I really needed a new hairbrush so I was excited to see this in my voxbox. 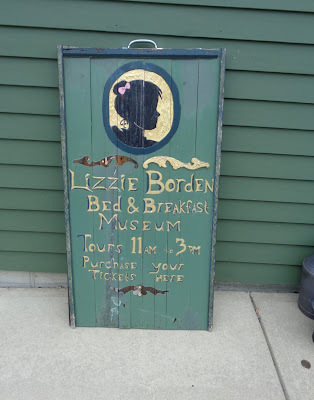 I like that the handle is made wood, gives it a nice design touch. I'm prone to tangles with my long straight hair, and this detangles nicely without tearing my hair out, haha. 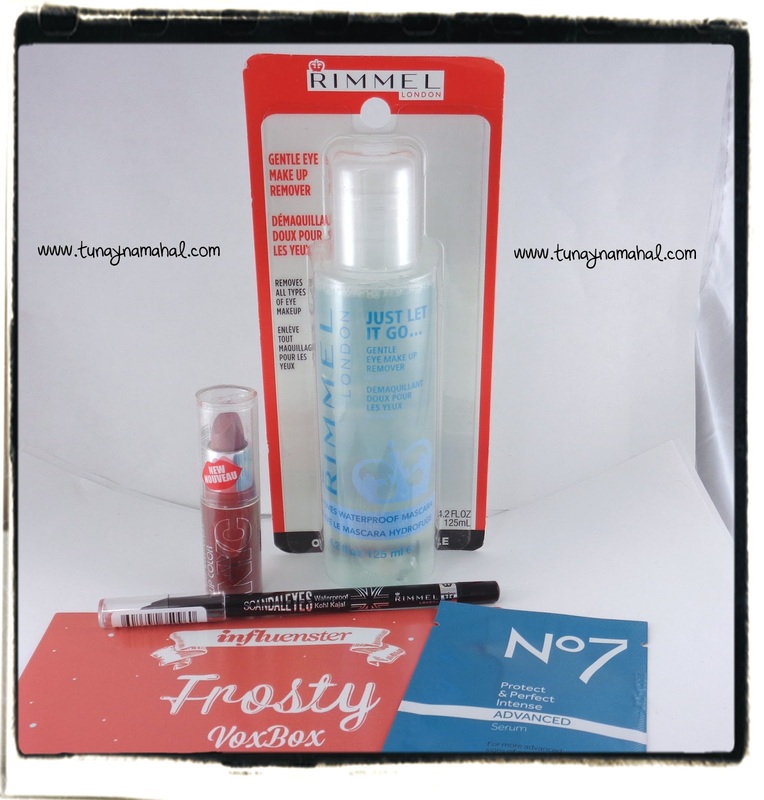 Rimmel Scandaleyes Waterproof Kohl Eyeliner: I normally use black eyeliner so I was happy to see this. The width of the eyeliner pencil is wider than what I am normally used to. I didn't get as fine a line when applying. I don't own a sharpener for this size pencil either, so I will have to pick one up. *My eyeshadow below is MAC Jardin Aires, and Lovely Lilac. Not sure if they even make those colors anymore, I have a whole stash of older MAC pigments. 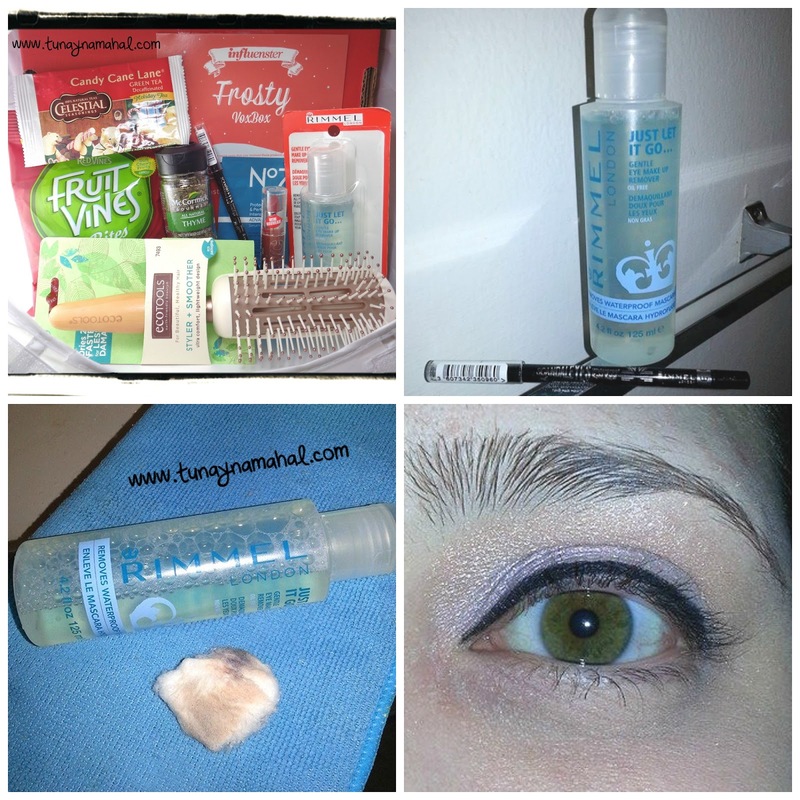 Rimmel Gentle Eye Makeup Remover: They say it removes waterproof makeup, and it did. :) I poured a little onto 2 cotton balls to remove my eye makeup. I didn't have to scrub very much, and it didn't sting my eyes. 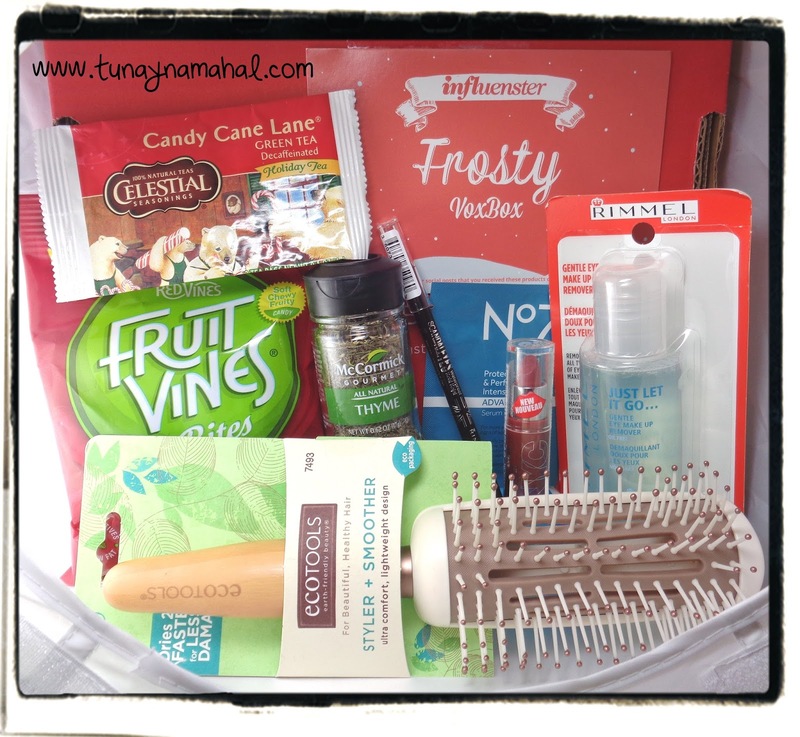 *You can sign up to Influenster for free here, through my affiliate link. Influenster is free to join. They will send you a survey from time to time to see if you qualify for a free vox box!